Product prices and availability are accurate as of 2019-04-19 00:56:31 UTC and are subject to change. Any price and availability information displayed on http://www.amazon.com/ at the time of purchase will apply to the purchase of this product. Our Purification Soy Candle is the perfect remedy for unwanted negative energy. Furthermore, it can help cleanse the environment of your home or office. 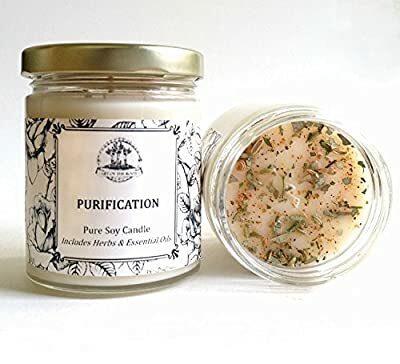 Made with herbs and oils that have a long use in folklore and aromatherapy, Our Purification Candle may help restore energy levels by encouraging the shedding of emotional baggage and daily stress of everyday life. It's also important to note, that the ingredients in our Purification Candle are commonly used in rituals that focus on breaking ties from the past, overcoming personal blocks and ridding the environment of bad energies. More importantly, there is no need to add any conjure oils or herbs to our candles. We have done it all for you. Each candle includes real essential oils and herbs so all you have to do it is light it! 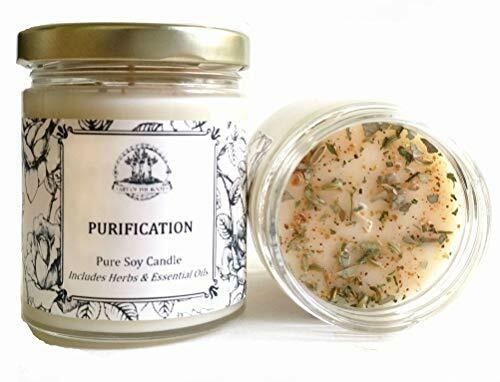 Our Purification Candle is made from 100% pure soy and includes an array of herbs and oils such as lemon, eucalyptus, rosemary, sage, fennel and a touch of patchouli. It comes in a 8 oz jar and emits a wonderful clean aroma. To perform a purification spell or ritual, write down your petition on a piece of parchment paper. Then fold the paper in half, folding the paper away from you. Then turn it 90 degrees and fold it in half again. Make sure it is well folded and get it as flat as you can. Then place your Purification Candle on a plate. Place the plate directly over your petition. When ready, light it and say a prayer or you could read Psalm 23. Warming: To prevent fire and serious injury, always burn candle within sight. Keep away from drafts and keep away from pets and children. Never burn candle near anything that can catch fire. Sold as a Curio.